Harold G. Schaevitz Industries LLC (HGSI) has expanded its sensor product offering by adding a line of ILPS-19 Series Inductive Linear Position Sensors using LVIT Technology; contactless devices designed for factory automation and a variety of industrial or commercial applications such as motor sport vehicles, automotive testing, solar cell positioners, wind turbine prop pitch and brake position, and packaging equipment. 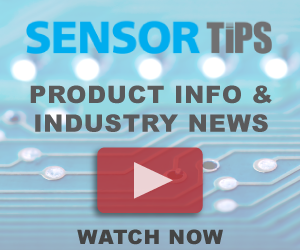 With their compact design, superior performance, and excellent stroke-to-length ratio, ILPS-19 sensors are ideal for both industrial testing laboratories and OEM applications. Operating from a variety of DC voltages, the ILPS-19 series offer a choice of four analog outputs and all include HGSI’s proprietary SenSet field recalibration feature. The ILPS series also includes two larger body versions, the ILPS-27 and ILPS-27L, for those applications needing a heavier duty unit and a spring loaded version called the ILPS-18S. Technical data sheets and additional information can be found at www.hgsind.com.